The recorded history of Mount Duneed (originally called Mount Direction) began when Dr Alexander Thomson established a large run stretching from Geelong to Barwon Heads and Torquay. It is believed John Armstrong, who arrived in Geelong in 1839 was his partner. Armstrong took out a pre-emptive right to 320 acres in Mount Duneed. 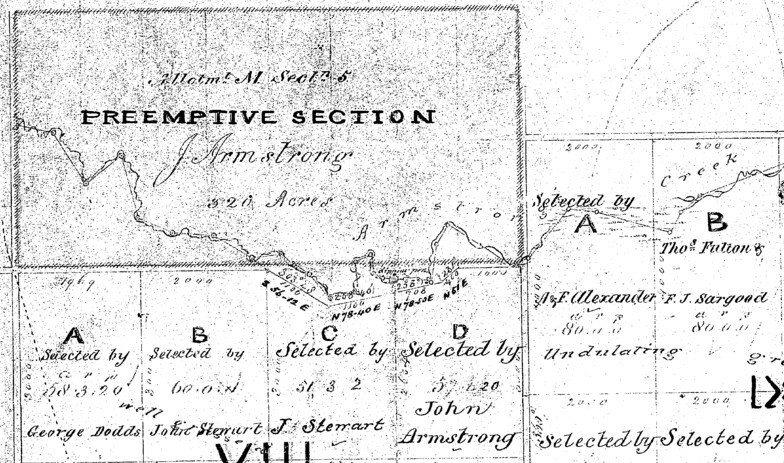 In 1854 the government surveyed land for sale. On 13th February 1855 The Argus and the Geelong Advertiser and Intellegencer advertised a sale of farms at Messrs Hutton and Co's auction rooms, Yarra Street, Geelong. The Government Gazette announced the sale, on 16th March, of 24 special country lots varying from 35 to 42 acres from £1.10s to £2 per acre upset price, situated in the parish of Duneed, between 6 ½ and 8 miles south from the wharf at Geelong. This land immediately surrounded Mount Duneed which commanded a very extensive view of Port Phillip Bay and Bass Strait, and was suitable for agricultural purposes, slightly stony in parts, very lightly timbered with fresh water obtainable from Duneed Creek. ​On 20 June, 1855 James Henty & Co advertised, in the Geelong Advertiser, farms of about 40 acres each and about 5 miles from town to be let on lease. These were to be let to industrious men with families on easy terms. ​A toll gate operated in 1861-1870s in the vicinity of Boundary and Torquay Road. The Yarborough Inn was established near the corner of Stewarts Road and Torquay Road in 1858 however the lack of passing trade caused its closure in 1864. A three story flour mill, named Connewarre Flour Mill, was constructed in Stewarts Road. A number of roads were named after prominent local pioneers. Whites Road, named after Andrew White, a prominent land holder, with livery stables in Geelong. He lived at "Hillside" on the slopes of Mount Duneed. Feehans Road was named after Mr P and Miss M Feehan whose family were associated with Mount Duneed for 97 years. Williams Road was named named after George Williams, who for many years fulfilled the role of the Barrabool Shire Secretary. Among the names on the original parish plan were some which have been associated with the district through generations — Burville, Rainford, Preston, Brown, Williams, Radford, Stewart and Ford. St Wilfrid's Church of England was built by John and son James Harkness. Services commenced in September 1863. The people of Mount Duneed erected a good substantial stone building for the twofold purpose of church and school. On the following Tuesday a festive meeting was held. The proceeds of the evening were £27, enabling the building committee to free the building entirely from debt. The 1944 fire destroyed this church. ​The old post office and phone booth were both situated near the crest of the hill on Torquay Road. The Landale family managed this business until 1871 when Charles Lamond obtained a slaughter licence and conducted a butchers shop, as well as the post office. His daughter Bella was a Registrar of Births and Deaths for over 50 years at the post office. In December 1915 Mrs Lamond, the postmistress, asked the South Barwon Council if there was any objection to closing the post office on Saturdays from 1pm. Eventually the butcher's shop closed and after many owners Mr Lampard took over and opened a saddler store. His wife, Florence carried on the post office and general store until she retired. The post office was then controlled by two brothers, firstly E & A Jackson and then A & J Jackson. 1956 saw the Howard family manage the post office. Eventually the district was able to phone Geelong Telephone Exchange automatically and local calls direct. With the introduction of Roadside Delivery the post office became obsolete. 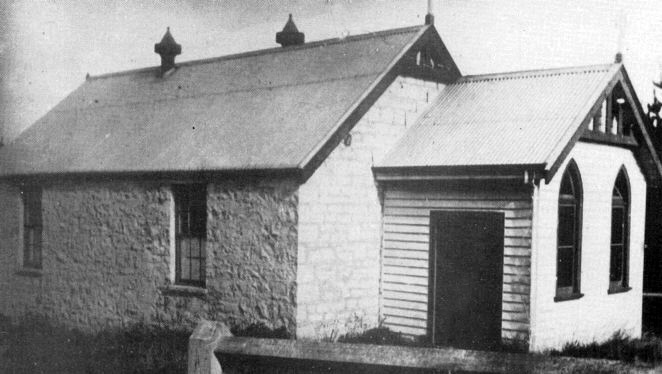 John Parkes Hope, James Daltan, William Trewen, Robert Preston, and Thomas Fiveash, to be the trustees of the land set apart on the 8th of April, 1856, for Wesleyan Church purposes at Mount Duneed. 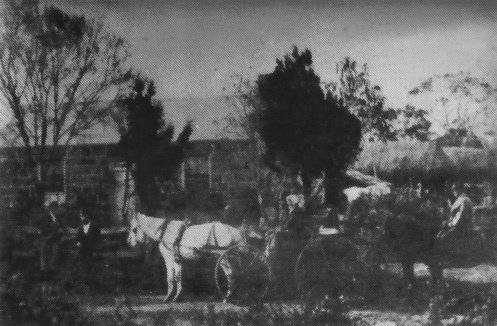 The church was built on this land in Russells Road during 1857. A bell on a wooden frame was rung each Sunday. 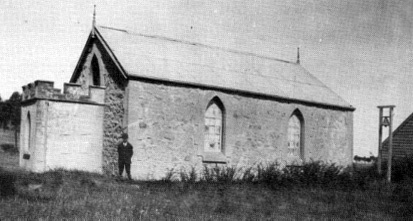 The church opened later in 1857. A report in the Geelong Advertiser in March 1868 gave details of the sermon preached by Reverend James Bickford about the attempted assassination of Prince Alfred in Sydney. The church was destroyed by fire in 1944. The remains of the church are still visible to the east of the gate to the recreation reserve. The bell has been re erected outside Belmont Uniting Church. Joseph and Elizabeth Rainford sailed from Liverpool in the ship Araminta. Their son Thomas was born on this voyage. They landed at Point Henry and Joseph worked as a wool presser before heading to the Ballarat diggings, where he had little success and returned to the Geelong district. ​He became a market gardener at Marnock Vale. He could also cut freestone and bluestone blocks. 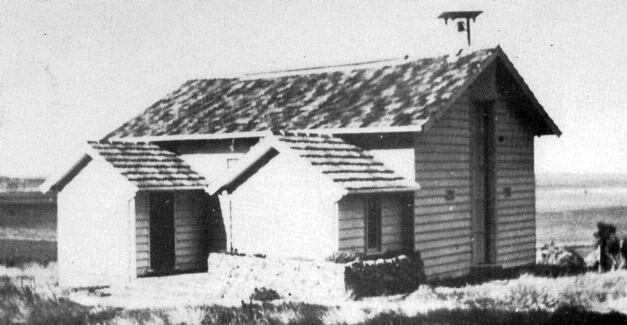 ​In 1857 he purchased land at Mount Duneed and built a bluestone home "Oakgrove" which was completed by 1863. He was actively involved in many activities in this area. He was a trustee for the Mount Duneed Cemetery and a committeeman of the local state school and also the Church of England. ​They has 3 sons and 2 daughters. Margaret taught at the state school and the Sunday school for many years.